‘Diaspora’ is the recent collaboration between The Townhouses‘ Leigh Hannah and Guerre (Lavurn Lee). 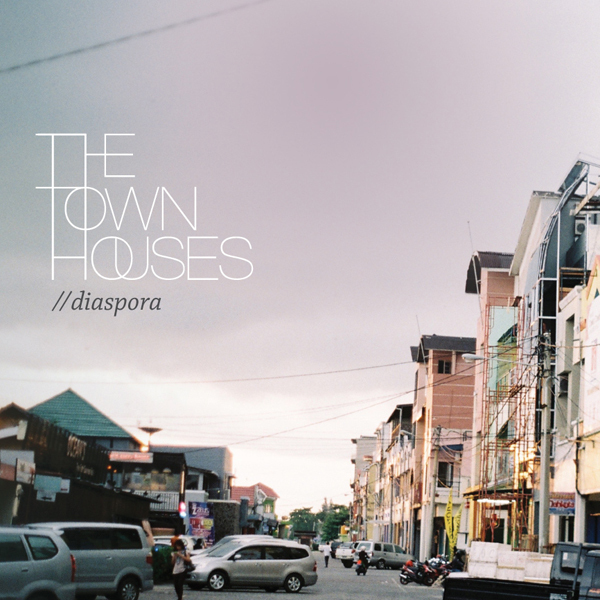 Mixed by Two Bright Lakes’ Nick Huggins, ‘Diaspora’ is the title track from The Townhouses’ upcoming album of the same name. Leigh notes that the track is an “open letter to refugees coming to, and currently living in Australia”. ‘Diaspora’ casts an ambient vignette – a beautiful string section from Wintercoats and Guerre’s vulnerable vocals further fuels the poignant narrative of the track’s topic matter. There’s something undoubtedly organic, or better put, acoustic about ‘Diaspora’, despite it being anything but. It’s here where I think Hannah’s fascination with Ethnomusicology becomes strikingly clear. It’s ambient, but not restrictive, which other electronic-ambient-come drone like acts tend to do (we’re looking at you Sunn O)))). What I think is more pertinent to this track is the ambiguous melancholy that lingers underneath its tranquil facade. It’s akin to the melancholic electronica the likes of which Seekae have gone on to refine. Having said that though, it’s hard to really pin down music like this. With ambience striking a chord within recent trends in electronica, it’s difficult to describe the sentiments contained within this subjective musical style. When taking the neo-RnB resurgence of late into account, this subtle, softly spoken aesthetic articulates itself. Think How to Dress Well, Oscar + Martin, or Collarbones. Granted, it may not be traditional RnB when considering this interview, but this musical aesthetic forms part of a current mood nonetheless. There’s definitely a groundswell in this current generation of artists re-working contemporary RnB’s heyday. When translating that sentiment into ‘Diaspora’, maybe it’s cathartic in a sense. I guess this track is not just another little ditty churned out by Leigh or Lavurn. I think it’s all the more important to hear this track in its current context – in lieu of the movements that seem to be informing electronica at this present moment. Diaspora is released through Yes Please on Nov 20.